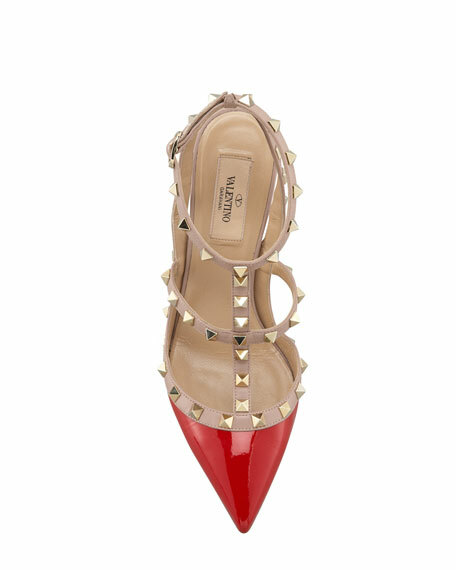 Glossy patent leather pump with contrast napa leather trim, straps and signature Valentino Garavani pyramid studs. Giuseppe Zanotti patent leather sandal. 4.8" stiletto heel; 0.5" platform; 4.3" equiv. Open toe. Triple strap vamp. Back zip eases dress. Leather lining. Smooth outsole. "Coline" is made in Italy.